Underfloor heating seems to be getting more popular these days and underfloor heating trade supplies are wanting to know your thoughts on underfloor heating. It would be great if you could fill in this short survey. We don't have underfloor heating in our flat but it is something we probably would consider if we owned our own home. Other than not owning our own property the only thing that would be stopping us from doing so would be the cost initially and for insulation. 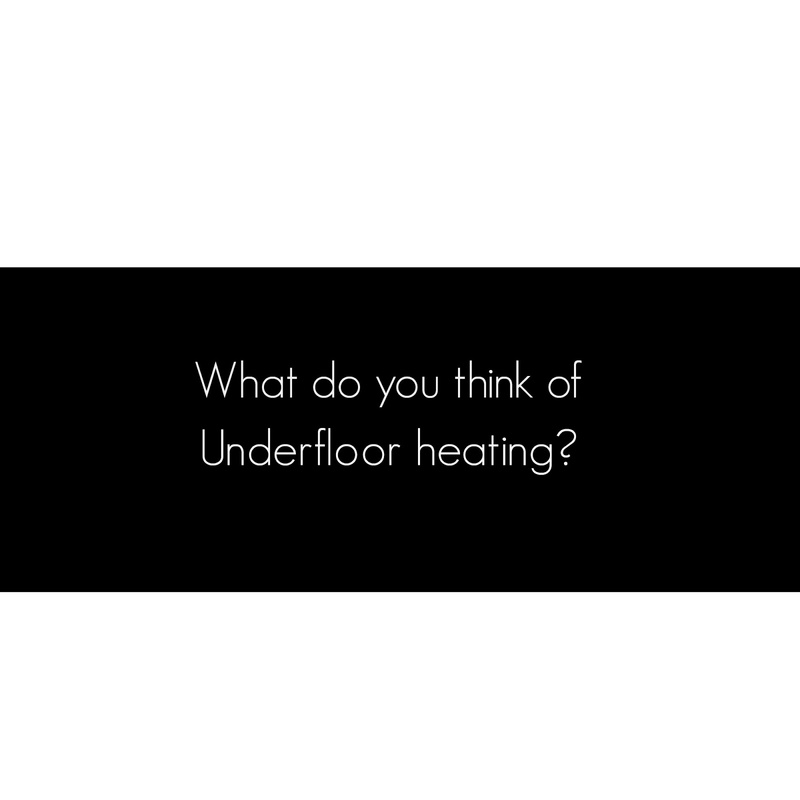 Do you have underfloor heating? If not would this be something you would consider? We don't have underfloor heating but we bought a new house and that one will have underfloor heating. It's still being built. Can't wait. If we could afford it, I would love to have underfloor heating in our kitchen and conservatory. Our kitchen is the oldest part of our house (about 400 years old) and I wouldn't want to ruin our lovely slate floors, otherwise, would love it!